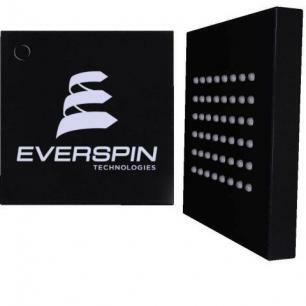 Everspin launched two new MRAM chips for the automotive market. The first chip is a 16Mb one, that can operate in a wide temperature range (-40 to 125 Celsius) and comes in both x8 and x16 IO configurations. The new chip features fast 45 ns read and write cycle times in a parallel asynchronous SRAM-like interface. The second chip is a 128Kb SPI MRAM in both the Grade 1 and Grade 3 (-40C to 105 Celsius) ranges. This serial interface MRAM fits in a low pin count DFN package with 8 pins. The two new MRAM chips are sampling now, and mass production will begin in Q2 2016.